Gopi, K., Balaji, S., Muthuvelan, B. (2014). Isolation Purification and Screening of Biodegradable Polymer PHB Producing Cyanobacteria from Marine and Fresh Water Resources. 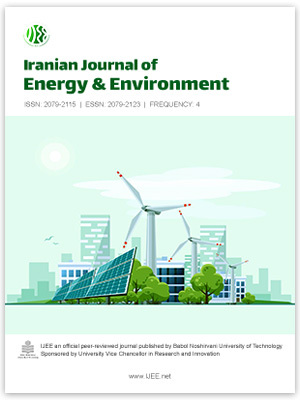 Iranian Journal of Energy and Environment; previously called: Iranica Journal of Energy & Environment, 5(1), -. K. Gopi; S. Balaji; B. Muthuvelan. "Isolation Purification and Screening of Biodegradable Polymer PHB Producing Cyanobacteria from Marine and Fresh Water Resources". Iranian Journal of Energy and Environment; previously called: Iranica Journal of Energy & Environment, 5, 1, 2014, -. Gopi, K., Balaji, S., Muthuvelan, B. (2014). 'Isolation Purification and Screening of Biodegradable Polymer PHB Producing Cyanobacteria from Marine and Fresh Water Resources', Iranian Journal of Energy and Environment; previously called: Iranica Journal of Energy & Environment, 5(1), pp. -. Gopi, K., Balaji, S., Muthuvelan, B. Isolation Purification and Screening of Biodegradable Polymer PHB Producing Cyanobacteria from Marine and Fresh Water Resources. Iranian Journal of Energy and Environment; previously called: Iranica Journal of Energy & Environment, 2014; 5(1): -.